This property is 5 minutes walk from the beach. 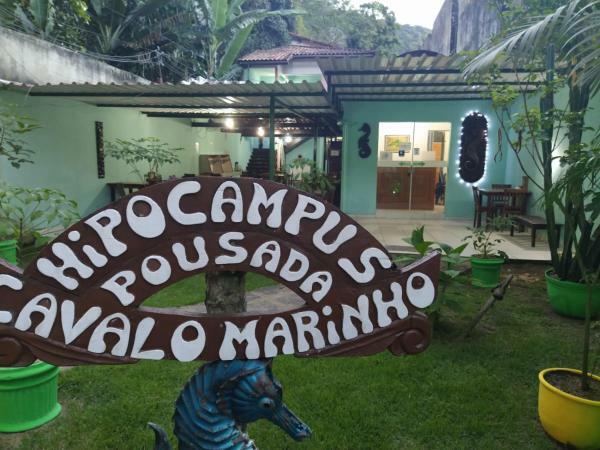 Pousada Cavalo Marinho is only 150 m from Abraão Beach in Ilha Grande and offers colourful accommodation with buffet breakfast. It is 5 minutes' walk from Abraão Pier and Abraão Village centre. Abraãozinho Beach is 300 m from the guesthouse. The staff can provide touristic information on restaurants, diving trips and visits to waterfalls nearby. Each room at Cavalo Marinho comes with air conditioning, a TV and minibar. In addition to their colourful decoration, they offer a private bathroom with a centrally heated shower. Nightly rates from $38 to $92. Facilities for this room include air conditioning, a hammock and a TV. There is also a minibar and a centrally heated shower in the bathroom.